1.Likes will come from MIX Profile as max Pictured and some non Pictures but REAL. 2. Repost and Comments From 100% Profile Pictured. 3. Anything will be submitted within 24 Hours!!! 1. Splitting into max 20 Tracks/Song URL. 2. We can not accept MUTUAL cancelation after Completion Or Starting works. 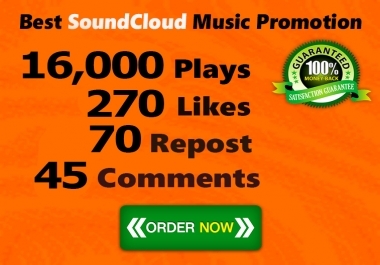 This is a very cheap and reliable service about Sound-Cloud. 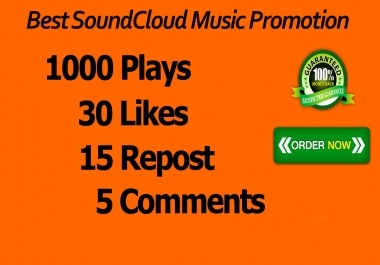 Many others offer Sound-cloud plays but not like my Service.So Order from me and check my Service i guaranteed you will never be disappointed. I am the hardest working seller you will ever meet and I love helping my customers. 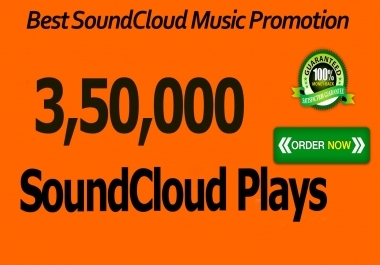 You can rely on me to provide the safe Sound-cloud plays that you need. SO ORDER NOW & enjoy my good service.